We are committed to safeguarding your privacy online. Please read the following policy to understand how your personal information will be used. This policy may change from time to time, so please check back periodically. 1. What personally identifiable information is collected from you? We may ask you for personal information, including (but not limited to) sending us a comment or an order. If you contact The Real Bread Company (by phone, e-mail, or in writing), we may keep a record of that correspondence. 2. What are cookies and how are they used? cart file is automatically deleted when you submit the order, or after 24 hours. Our Web Host - YAHOO! - does record the IP address of each visitor to our site, and keeps a record of the pages visited, etc. THE ONLY purpose of this is for us to analyze the usage of our website. Most individuals get a new IP address assigned to them (by their ISP) each time they access the internet; therefore, it is almost impossible for anyone to be "tracked", unless they intentionally choose to leave their information. 3. Who is collecting the information? ANY information you leave with The Real Bread Company is for our use alone. We do not share our customer information with anyone. If you choose to do business with us, or leave your name for our mailing list, it will stay with us. 4. How is the information used? 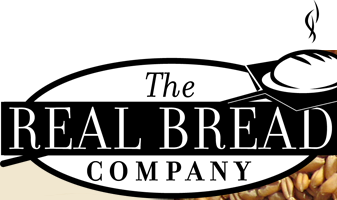 The Real Bread Company only uses information to keep customers updated on new products, etc. Our accounting records are kept as required for tax purposes. 5. With whom may the information be shared? 6. What security procedures are in place to protect the loss, misuse or alteration of the information? Any information you provide to The Real Bread Company is kept on file in our offices; it is NOT kept on a server on the internet. Any business transactions with us are kept in our accounting program, and are not available to anyone online.